Extracting images from PDF files to DOC is a rather troublesome task and even impossible if the PDF content is protected from copying. 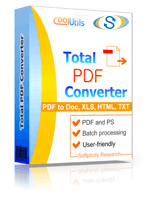 Using Total PDF Converter you can do this much easier, as it automatically recognizes images in PDF documents and can export it into any document format, such as: DOC, RTF, XLS, HTML, PS. 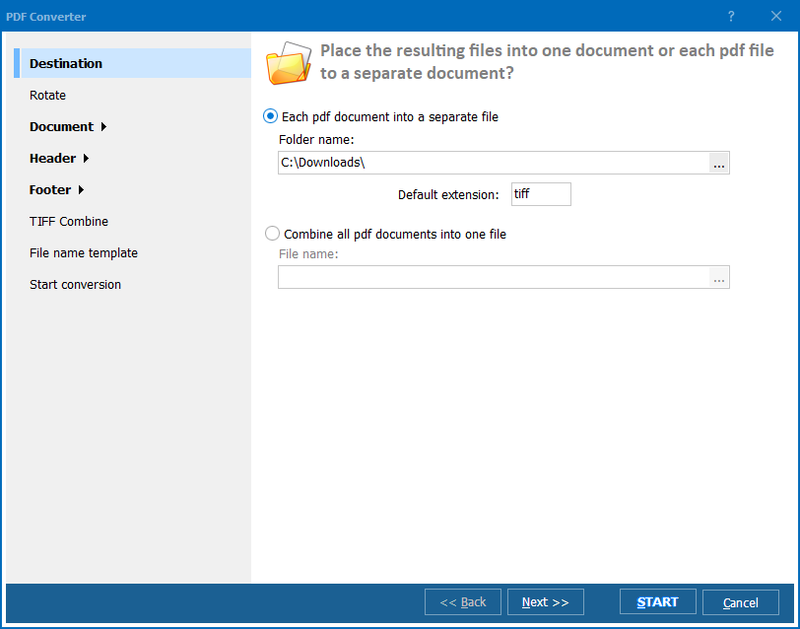 With its help you can convert PDF to DOC in batch, getting images from multiple files and saving them together into one DOC file or one DOC per PDF. It is highly efficient, as there is no need to process each PDF source file separately. 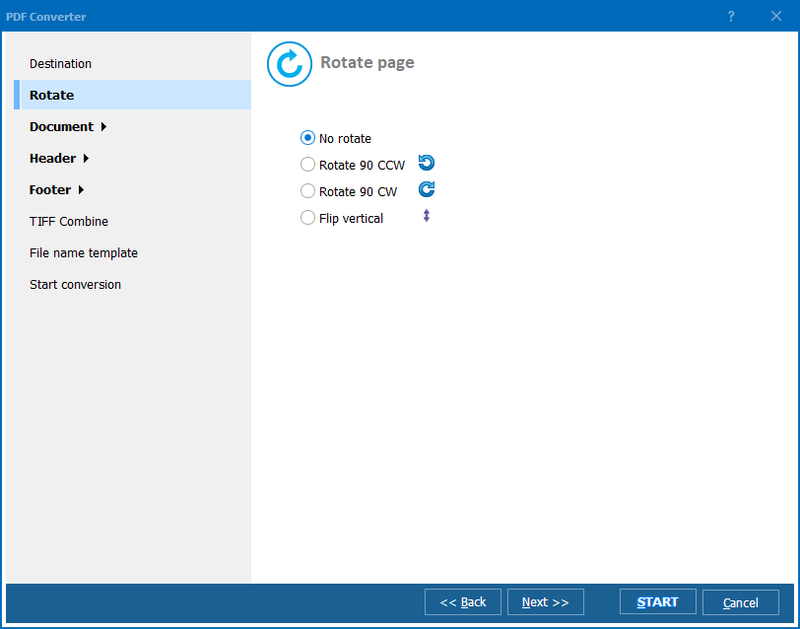 You can even export each PDF page into a separate DOC file. In this case images from one PDF page will be saved to one DOC file. You can do the same from the command line. The whole process adds up to writing a conversion command in CMD dialogue. The commands include the same conversion parameters that you setup in the settings wizard. To get more details on how to run this batch PDF converter from the command line, read the Help menu of the program. When you convert a lot of files in batch, you can setup a file name template to keep the DOC copies in the correct order. By default copies have the same names as the originals. When you convert PDF to DOC excluding text you can also adjust paper size and orientation to fit the images better. 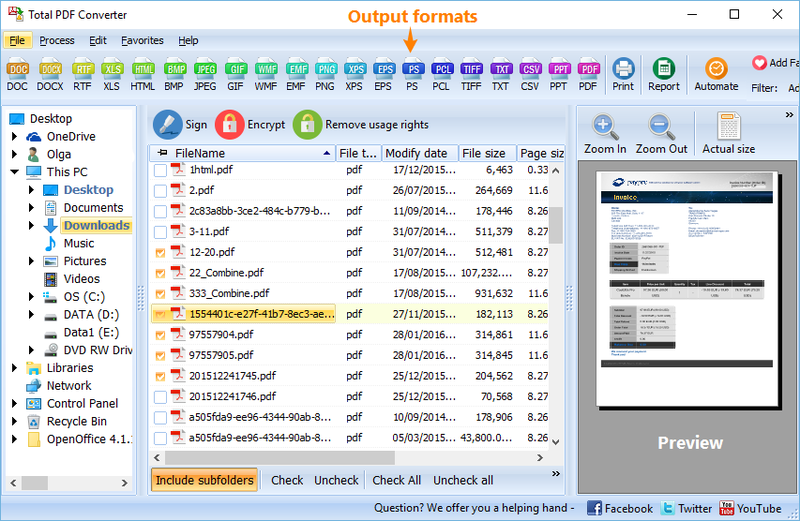 Test all this for free, download a trial version of Total PDF Converter here.